A good brochure or catalogue can work wonders for your company. Brochures are used to instill trust and bolster brand identity whilst catalogues remain a key source of revenue for many brands. Throughout 2018, Safepoint wanted a brochure that would show off their attention to detail, professionalism and customer focus. We created a quality, matte finish brochure with easy to understand infographics and bold, dominant photos. 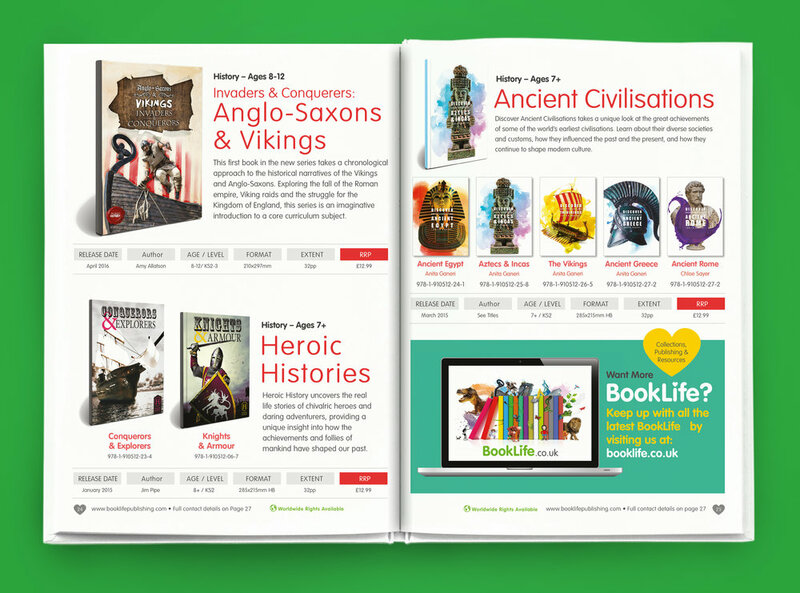 With hundreds of products being seen by a circulation of over 18,000, BookLife Publishing required clean and accessible layouts, professional yet child-friendly aesthetics and, most of all, a cover that would entice the reader to open up and look inside.